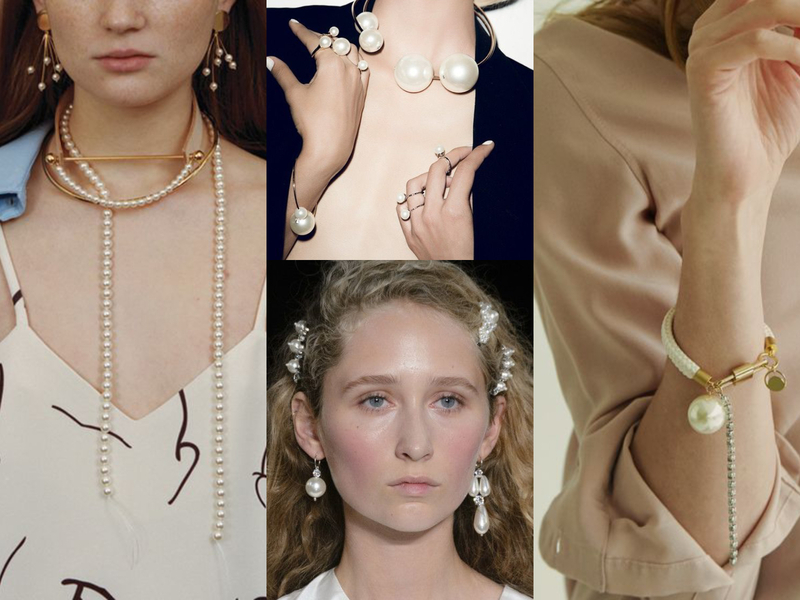 An ever-loved adornment for jewellery, accessories, furniture and more, the pearl is the oldest gem known to man, symbolic for its association with beauty, wealth, wisdom and purity. 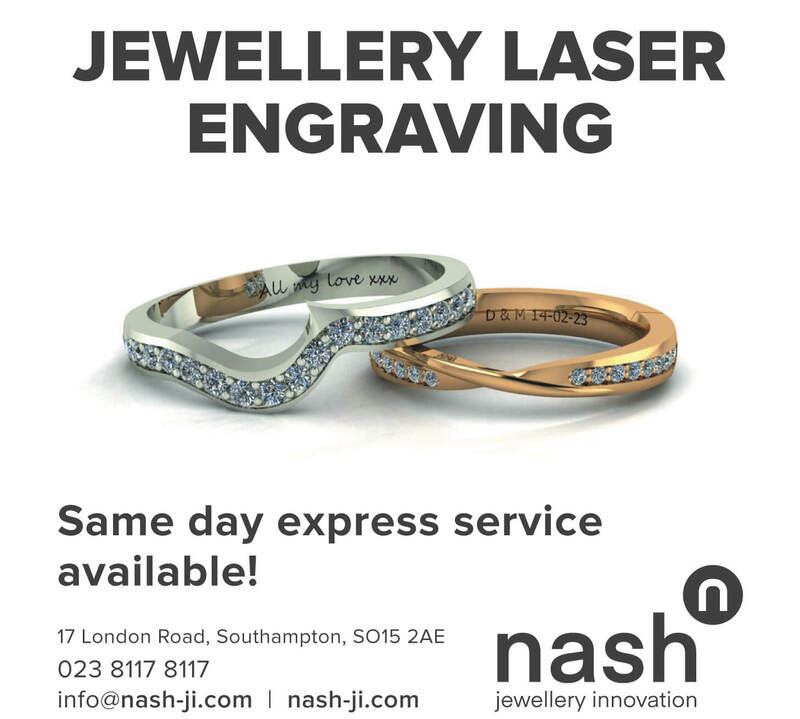 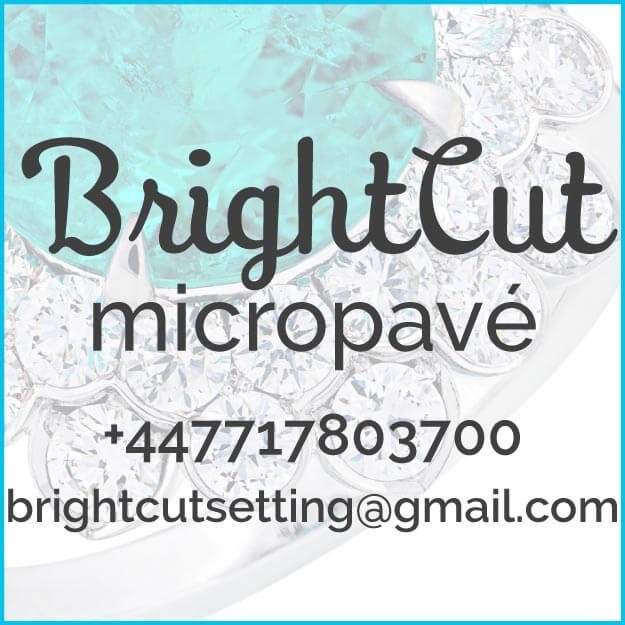 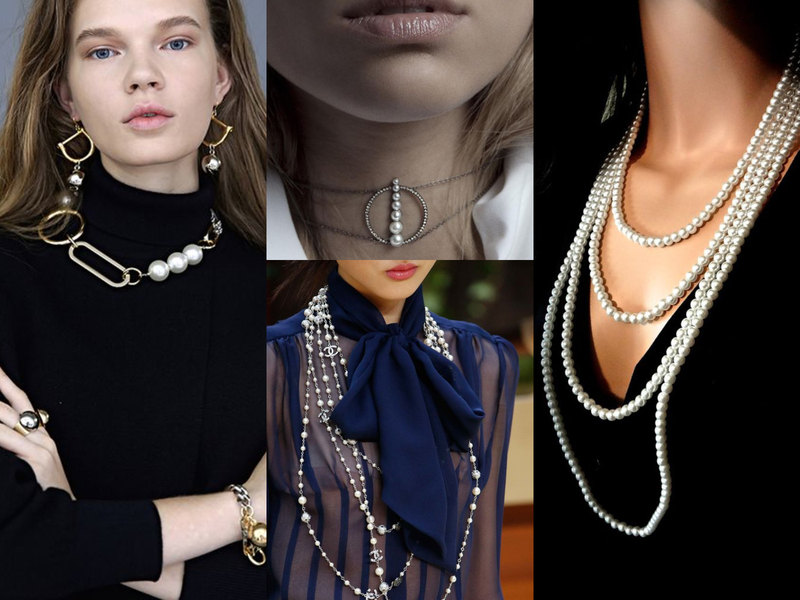 Pearls are a timeless symbol of style; universally flattering due to their ability to complement a plethora of outfits and brighten just about any complexion of its wearer. 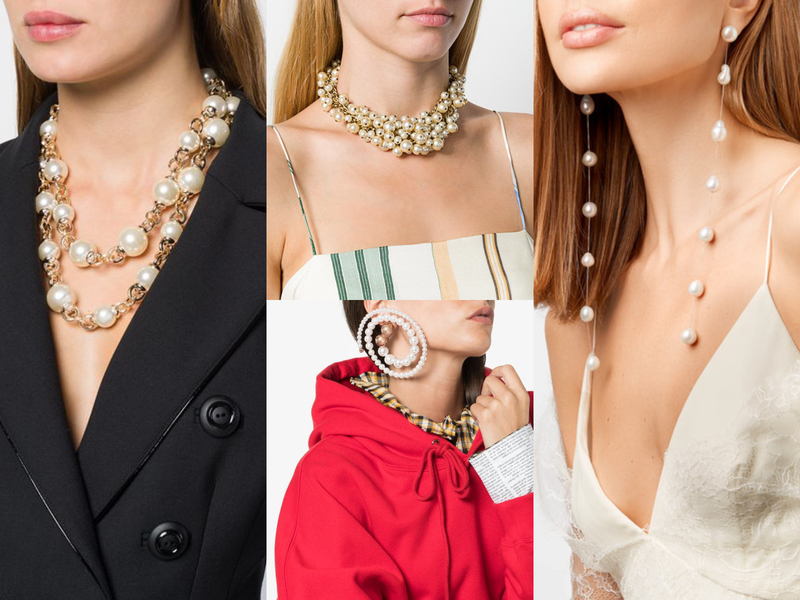 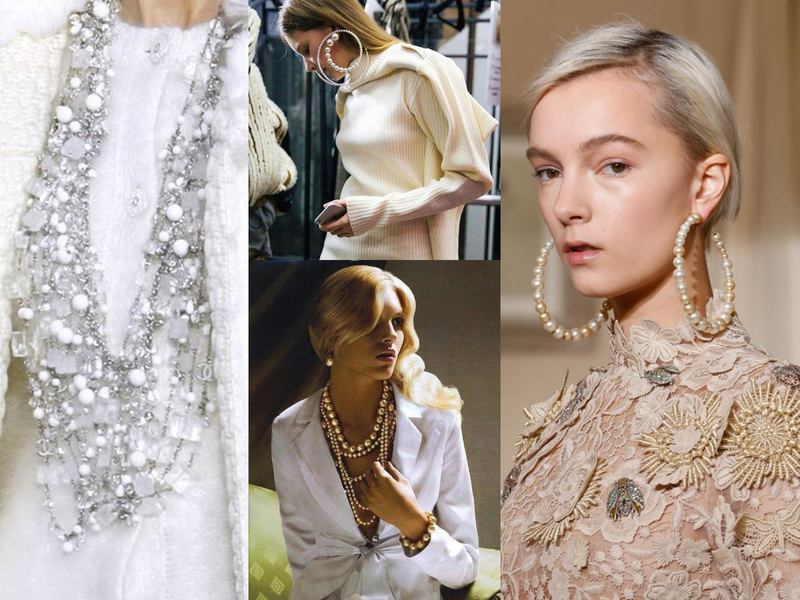 One of the most precious trends for winter 2018 is the return of the pearls! 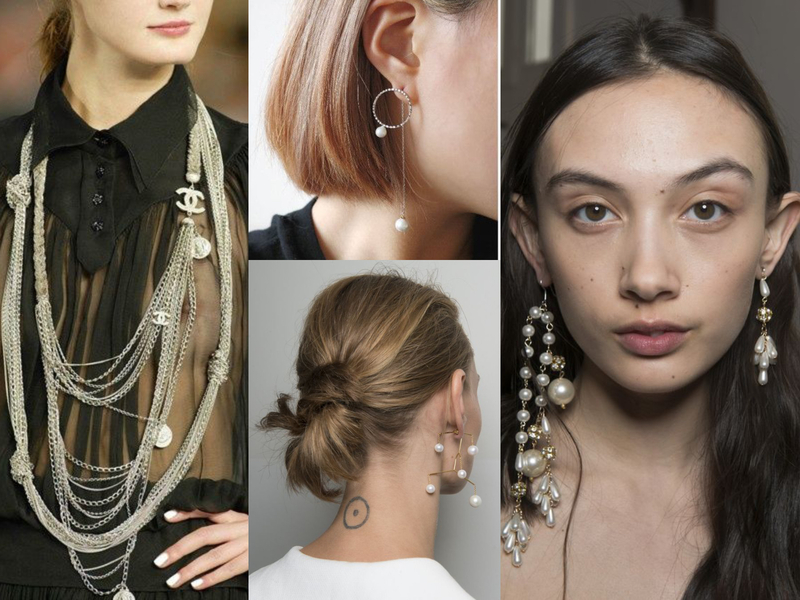 Single bold chokers, as well as fine and dainty multi-strand necklaces, are a big hit with designers this season. 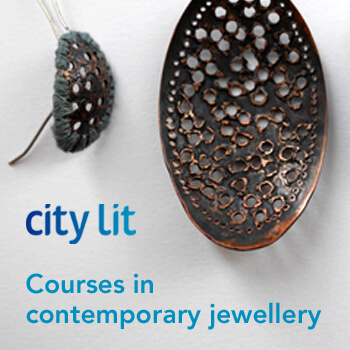 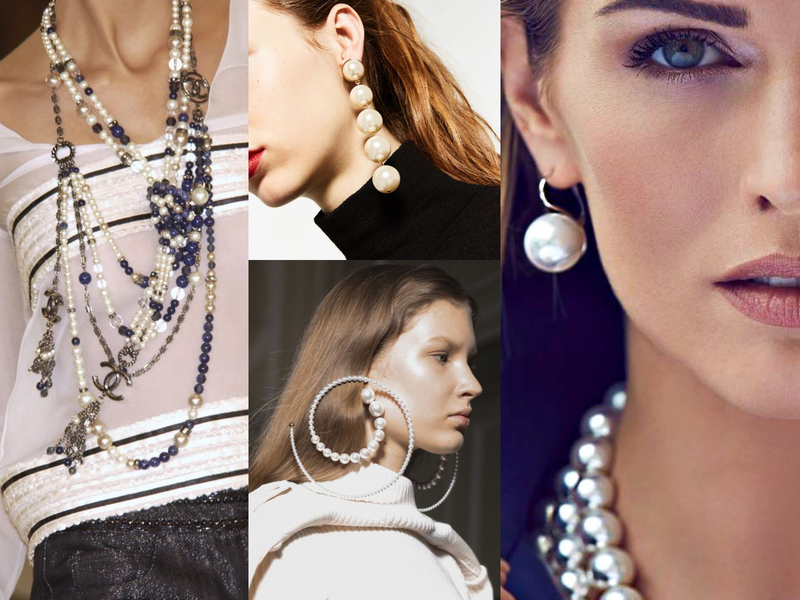 With interesting clasps, the array of pearl jewellery this winter will have you spoilt for choice. 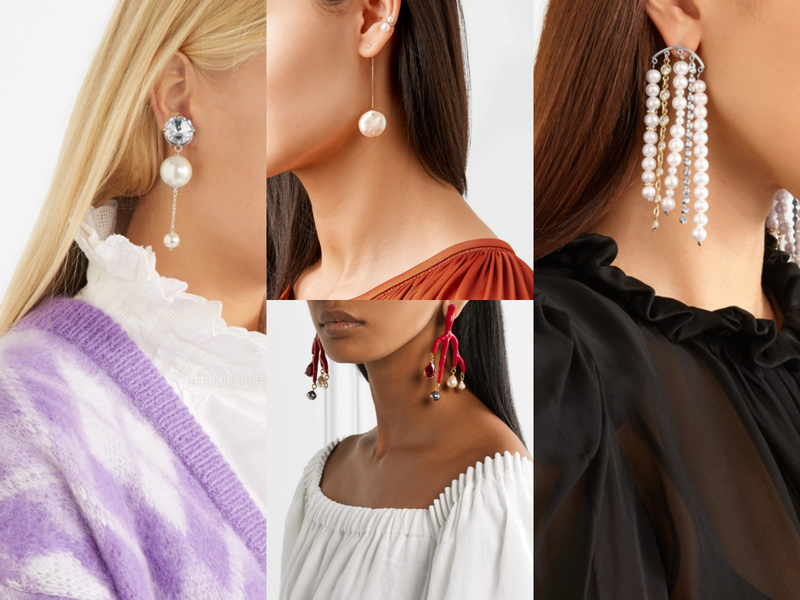 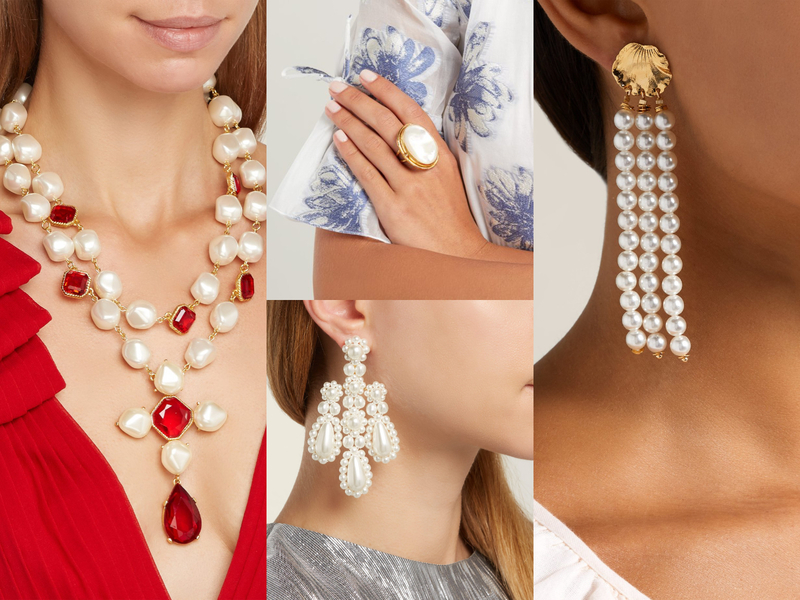 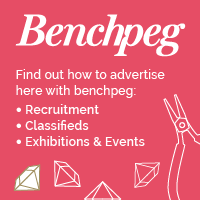 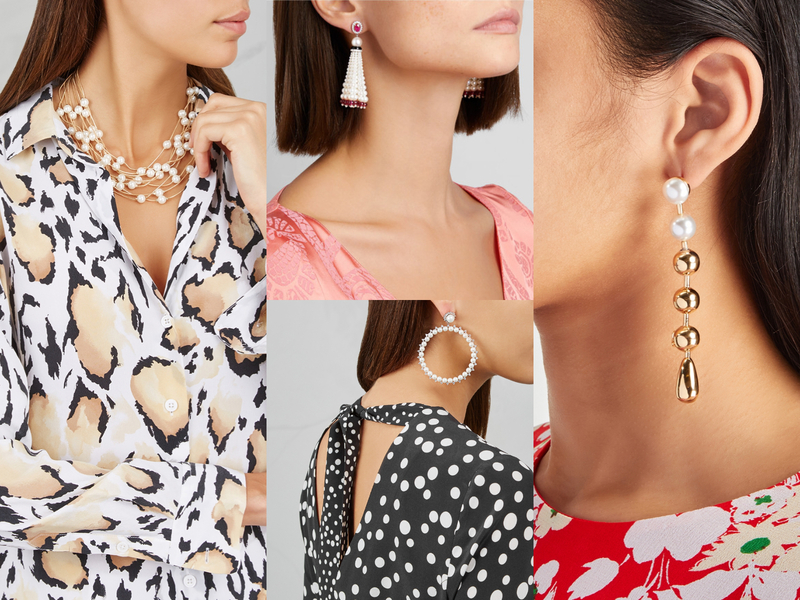 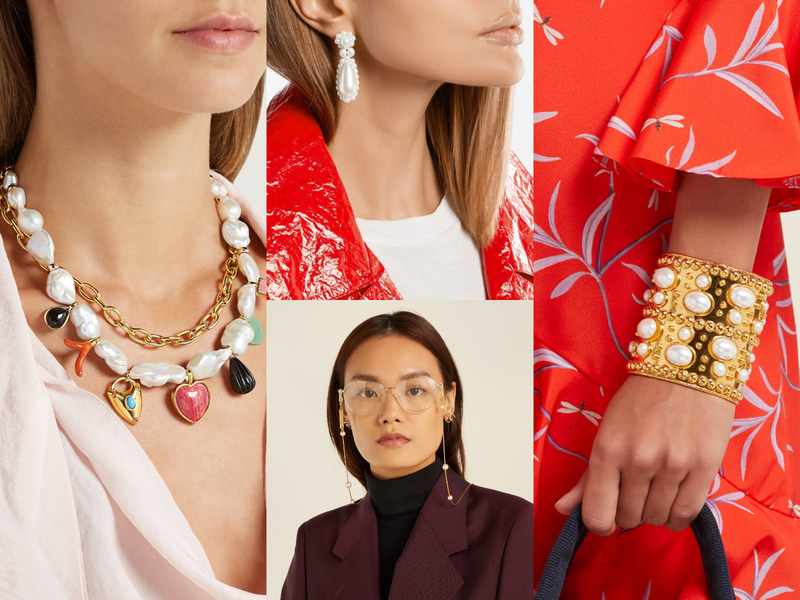 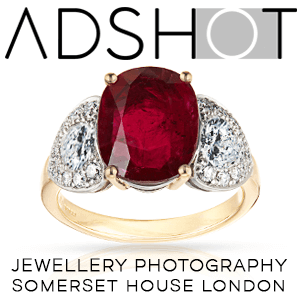 Watch out for renaissance-style earrings and signature pearl cocktail rings that play about with proportions, lengths and showstopping factors! 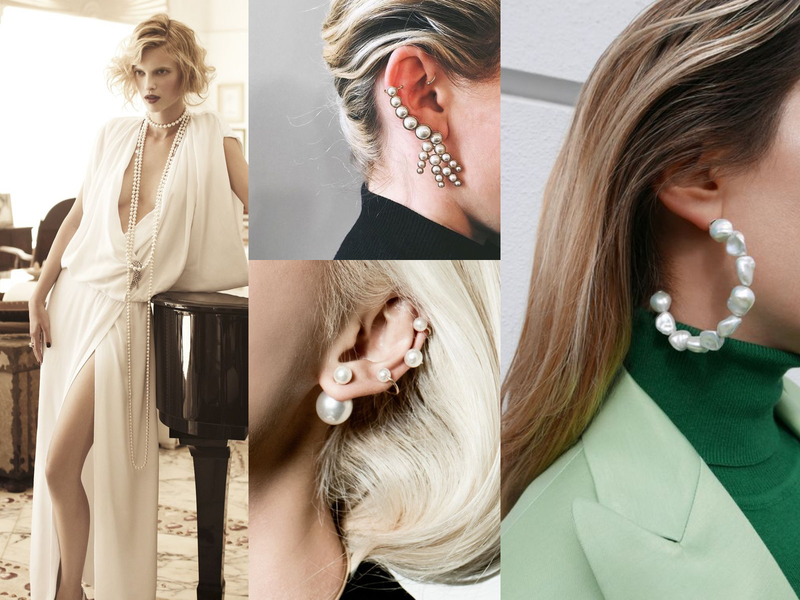 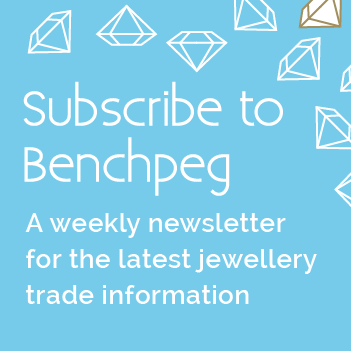 If you're thinking pearls are a star of times past then take a look at this new season wave of pearl fever and you'll see that the pearl is just as edgy as it is classic! 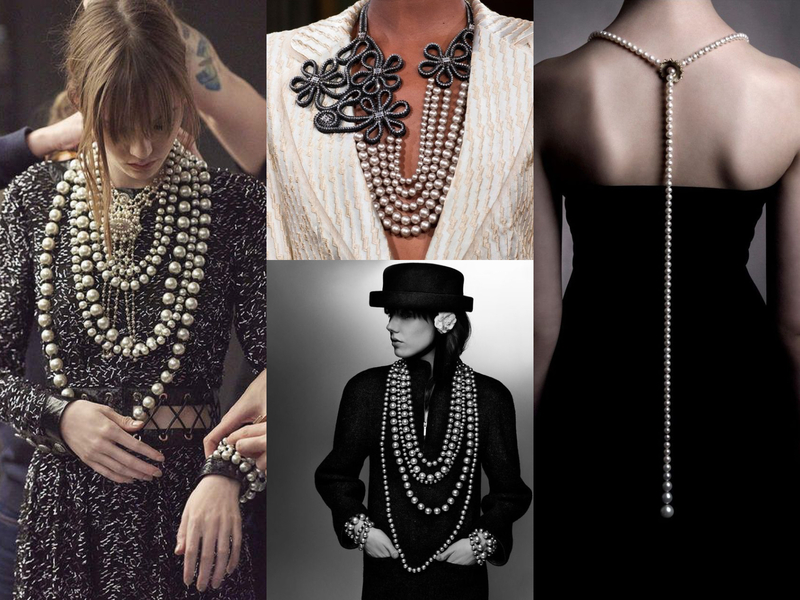 "There is nothing except what has been forgotten."